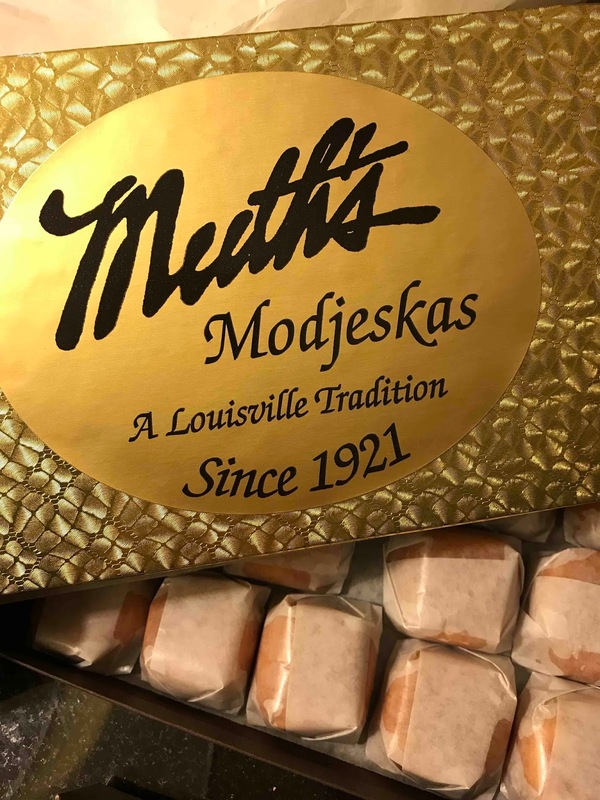 I love shopping for popular made-in-(whatever state we're visiting) omiyage, so while in Louisville, Muth's Candies was a must-stop. This almost century-old candy shop uses original recipes to create the finest confections. It was very difficult to restrain ourselves from buying all sorts of chocolaty creations when stepping into this charming shop, but we had a mission - to buy Modjeskas and Bourbon Barrels. Modjeskas are made of marshallows enveloped in a butter and cream caramel. It was named after a very famous actress, Helena Modjeska, who visited Louisville in the 1880s. 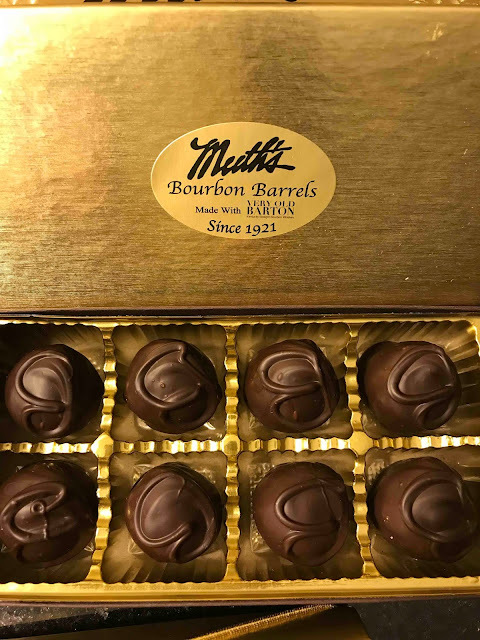 And of course, a visit to Louisville would not be complete without a bourbon-filled confection, such as the Bourbon Barrels, made with Very Old Barton 100 proof bourbon.